Nutanix (NASDAQ: NTNX) is an enterprise-grade software company that helps customers manage hybrid cloud environments centrally and efficiently. With over 4,000 employees, Nutanix has quickly set the standard for hyper-converged infrastructure; in 2018, Gartner named it a leader in the field. With customers ranging from the American Red Cross and BART to Texas A&M and NASDAQ itself, it’s important that Nutanix empower its employees to work as efficiently as possible to deliver on the company’s mission. But with a large app ecosystem, Nutanix needed a way to make key information and processes more accessible for the average employee. Receiving Slack notifications for every new ServiceNow ticket and assign tickets right in Slack with the click of a button, bringing assignment rate to 100%. A self-serve security check-up system that finds security issues via apps like Splunk and Okta, then helps employees fix them inside of the Slack chat console. Automating and auto-optimizing VM provisioning through Nutanix, with Slack as the interface for the VM requester and approver; ultimately saving the approver 6 hours a week and allowing the requester to get new VMs in 10 minutes or less. In order to turn Slack into a powerful work hub, Nutanix needed an integration platform that could create automated Slack workflows with a wide range of other programs and bots. 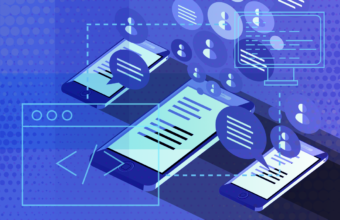 As Goodwin tried out tools, Workato’s agility, Slack integrations with hundreds of apps, and bot capabilities stood out. “I’ve used other integration and workflow tools, but there were limitations to all of them. One tool would be good at integrating with a few things but not others, or it only did a certain type of action. Then I saw Workato and how extensible it was,” says Goodwin. “There were so many integrations that already existed in the Workato community, and if there’s something that wasn’t there, you could quickly create it. I’ve never really seen anything exactly like Workato. 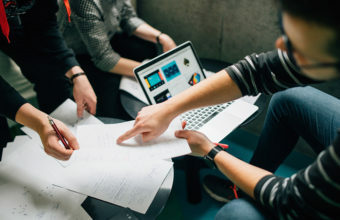 Whenever an employee submits a ticket that requires action from the cybersecurity team, such as a firewall rule change or access to a particular system, the team had to manage the tickets in ServiceNow. This includes triaging these tickets and assigning them to the appropriate team member. But it was challenging to keep pace with the high volume of new tickets every day. “Sometimes, tickets would go unassigned, because the team would miss the email notification or not check ServiceNow frequently enough,” Goodwin says. He wanted to make this process easier using Workato. “I wanted to allow people to do what they really want to do, which is to just work from wherever they are. At Nutanix, that tends to be in Slack – which they can access from their computer or phones seamlessly,” he comments. This not only ensures the all the tickets get assigned but also gives everyone a singular view of every ticket that comes in. They can determine whether that ticket has been assigned with a quick glance thanks to the color coding system. As with any high-tech company, security is paramount to Nutanix’ operations. The company uses Splunk to house data from its entire app and device ecosystem, including its anti-virus tool, identity and access management program (in this case, Okta), and security awareness training platform. The data from these apps includes information such as employees’ laptop configuration, VPN usage, and login data. But this information can be difficult for non-technical employees to find, understand, and translate into actionable insights. “The best way we can impact our company’s security is by putting information into the hands of users. We want to empower them by decentralizing information as much as possible. To do this, we wanted to create a security self-service tool that would also be based in Slack,” says Goodwin. The Slack message containing the report also includes buttons for next steps—such as updating antivirus software—so that employees can act on the information without leaving the chat app. Clicking on an option will initiate the creation of a ServiceNow ticket if necessary, which can also be completed via Slack using Workato. “The self-service security tool has the potential to have a big impact on the business. When everybody uses it, I can actually measure improvement because people are empowered to see weaknesses in security and take the initiative to fix that on their own. That’ll be a huge one,” says Goodwin. Nutanix is an IT platform that can provision virtual machines (VMs) and do all things VM related. Naturally, Nutanix uses their own platform to run their business. Everyday, internal engineers at Nutanix request VMs to do their work. In order to get a VM, they must go into ServiceNow and manually create a request. Then an engineer on the provisioning team has to see the ticket and manually run scripts that provision the VM. They then update the ServiceNow request when the new VM is ready. Then the engineer who requested the VM has to check the ticket and follow instructions to access the VM. This process of provisioning VMs is notoriously tedious for both the requester and the approver, so Nutanix wanted to make VM provisioning faster and more efficient by automating the process using Workato. 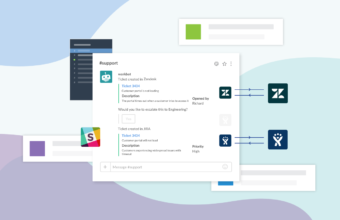 Slack acts as the interface for both the requesting and approving engineers, while Workato completes work behind the scenes in ServiceNow, Nutanix, and Slack. Getting the VM is now as simple as asking Workbot in Slack, but there are some very cool, complex workflows being performed by Workato behind the scenes! When an engineer requests a VM in Slack, Workato automatically creates a ServiceNow ticket asking for the VM. Then another Workato workflow kicks off that was created to automatically optimize the company’s VM usage. When Workato detects the new ServiceNow ticket, Workato identifies the requesting engineer and looks up their current VM usage inside of Nutanix. If the requester is asking for a standard VM and they don’t have too many VMs already, Workato will automatically approve the VM and send it to them via Slack. When provisioning a VM, Workato also considers where this VM should be created and on which cluster. Workato analyzes each cluster and decides which is the best one to provision the VM from. However, if the requester is already using a lot of resources or they need a custom VM, Workato will request a manual review from the provisioning team. The provisioning team can review and approve or reject inside of Slack. Workbot will send a message to a special channel for the provisioning team with all the relevant information about the VM request pulled from ServiceNow into Slack. The reviewer can hit the approve or reject button right in Slack. From there Workato will either provision that VM and notify the requester or let the requester know that the request was not approved. This auto-optimization is important because, when you deploy a VM, it is allocating resources and can be costly if you need to purchase more resources. Workato’s ability to analyze data and choose the optimal cluster to provision from, as well as provide a checkpoint for personal usage before granting a VM is a big help to operations. It saves money and time. Not only does this Slack workflow help the company operate more efficiently, but it also benefits the team that has to provision the VMs. Without automation, they field a huge number of requests each week, and it breaks up their daily workflows. With this process automated, the team saves 5-6 hours a week that they previously spent context switching and approving VMs. Meanwhile, the requesting engineers can get new VMs in 10 minutes or less, instead of going through a long manual approval process. The best part? All Nutanix customers can use this same solution to auto-provision and optimize their VM provisioning! One of Goodwin’s goals for Nutanix’ Workato automations is to increase the security of the entire organization by making it easy for people to see what needs to be fixed and take action on it, all within the comfort of Slack. While, his goal for using Workato to provision VMs via Slack, and create ServiceNow tickets is to increase efficiency. But the common thread is that the creation of these automated workflows with Slack as the interface makes it easy and compelling for employees to complete these activities. Want to learn how you can implement the workflows that Nutanix has created?